Have you ever gotten nervous and tightened during in a gig? It’s an uncomfortable feeling. Most musicians have felt it in varying degrees. A few butterflies can help to keep you on your toes, but too much can ruin the fun on stage. When you are comfortably practicing your music by yourself or in a group, you may perform many actions subconsciously. However, nerves on stage can cause you to consciously consider every individual hit, which can cause you to question everything you’re playing and destroy your entire groove. Drummers often feel that going out of tempo or not locking in with a band can ruin the performance of the entire music group. This is why drummers often feel a large amount of pressure. 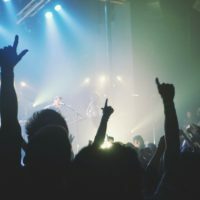 However, rest assured that there are techniques that will help you overcome stage fright. Many musicians approach gigs with such perfectionism that even the slightest issue can ruin the gig in their minds. I’ve lost count of how many times I’ve congratulated a musician after a gig, only to be given the response “I messed up part X”. The truth is that audiences don’t notice any difference most of the time. This is both the case for originals and cover songs. You might have tirelessly rehearsed the same set 200 times, but the audience probably has never heard it before. Therefore, the audience could be oblivious to you changing whole sections of songs! Try to be ok with drifting off plan a little bit. If your band is good, then going off track can really lead to something special. If the mistake on stage is definitely something not special, then try to forget and recover from it as quickly as possible. That’s the difference between a newbie and an experienced musician. A professional juggler once told me that even world-class performers regularly drop their clubs or juggling balls on advanced moves. However, they professionally and gracefully recover from it! The same mindset should be adopted for drumming. So it becomes a self-fulfilling prophecy. Cut the fear cycle with something so trivial. It’s not the end of the world if you drop a stick. If it happens, you could even try a one-handed drum solo like a boss! This might be an obvious one! Logically, you should practice as much as you can to stretch your abilities. This includes honing your own technique as well as rehearsing with your band. If you’re a drummer in a cover band and you make your living by playing live gigs, you should have rehearsals at numerous times a week. This drumming routine will increase your self-confidence and you’re less likely to question yourself on stage. Probably the greatest issue that comes from playing at different events in a cover band, i.e. playing for money, is the monetary aspect of drumming. Namely, you get paid for your drumming, so that’s not only passion, but it’s a real job. 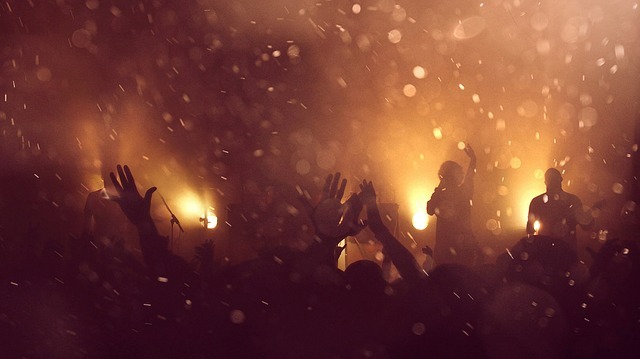 This notion can dramatically change the way you perceive your live gigs. Even when you don’t have a drum kit by your side, you can do some kitless exercises, to stay in good drumming shape. The tricks shown in this video tutorial will help you practice without drums. Even better, a practice pad can help you improve your drum chops and warm up for your gig. I used to get panic attacks. Good breathing can make a tremendous difference. It relieves tension, reduces stress and helps us carry out our performances in the best way possible. Also, your sitting position while drumming can affect your lung capacity if you don’t sit properly. 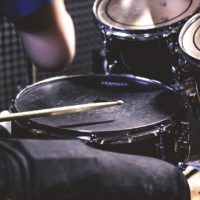 The Rock Drumming Underground has delivered a useful guide on proper sitting for drummers, so you might want to learn something from them. The right body posture at the drums will save your energy and let more air into your lungs. 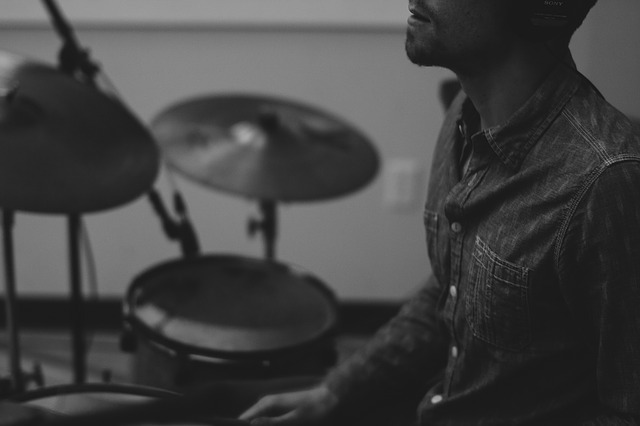 Apart from proper posture, you should include some breathing exercises in your drumming sessions. At first, you’ll need to pay attention to the way you inhale/exhale air while drumming, but it will eventually become automated actions. Here you can read a valuable piece on breathing in drumming, written in 1980 by legendary Roy Burns. You can also make your own breathing rituals before and after every gig or concert. Think about some successful gigs you’ve had or audiences that you liked and take deep breaths while evoking those memories. By gradually letting your mind slip into the state of satisfaction, you’ll boost the feeling of self-confidence. In turn, all the potential negative feelings, including stage fright, will be covered with positive mental images. One of the best ways to become more secure in your drumming is to listen to the songs from your set list over and over again. 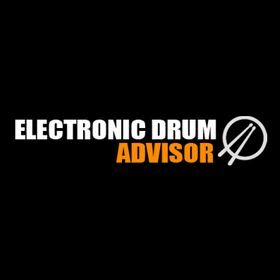 Analyze the drum sections, but get into the music lines of all other instruments, as well. Playing with emotion is something that counts. Invest your emotions into your drumming and you’ll see that the output you deliver is much more. Singing is another extremely practical way to improve your self-confidence and learn tracks better. Learning the lyrics of every song you play will improve your orientation in your setlist. When you know by heart the outline of the numbers you play, it’s easier to let things flow naturally. Who knows, maybe you even start singing back vocals. Queen’s Roger Taylor wasn’t only one of the best rock drummers ever, but he was also an amazing vocalist. He managed to sing back vocals to Freddie Mercury. We’re less inclined to feel fear if we’re familiar with our surroundings. Sound checks before the gig can really help ease your nerves. Talking to the sound engineer can help ease your nerves, as it can help you feel like you have more support. If possible, you should try to get familiar with every new stage on which they’re going to play. When you know what the stage and space around it look like, you can visualize your gig there. That can be useful when it comes to self-confidence. Imagine yourself playing drums with your band inside that venue and keep telling yourself that you’re going to deliver a top-notch performance. Autosuggestion is a practical way to boost your morale and improve your mental state before you get onto the stage. Also, try to spend some time before the concert inside the space where you’re going to play and get used to it. Always make sure that you see the bass player on the stage so that you can easily communicate in case anything unexpected happens during the gig. Certain styles of drumming (particularly rock and metal) can burn a substantial amount of calories. The results of research published on the Livestrong website show that an average drummer burns about 250 calories per hour of drumming. 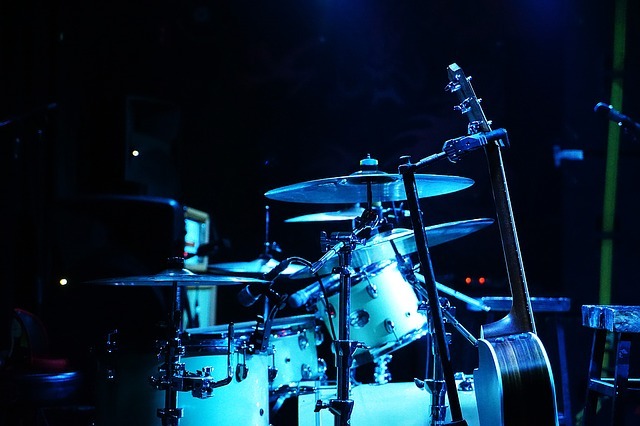 Further, a rock drummer could burn up to 600 calories during a one-hour period at a concert. Working on your physical stamina can help keep your playing performance at a high level. 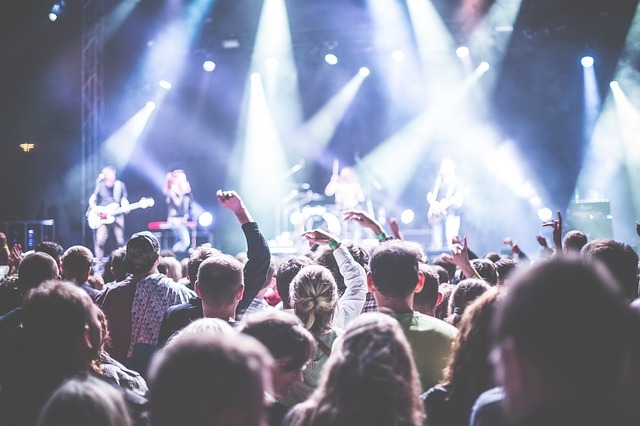 If you have an unhealthy lifestyle that includes a lot of alcohol and bad sleep, your ability to play long gigs might not meet the demands of such events. These exercises will help them improve their physical stamina, which will reduce the risk of having stage fright. If you know that your body can stand your entire gig without any problems, you’ll be able to direct all your energy on the performance itself. In addition to regular workouts, you might want to introduce a warm-up and stretching routine before your live shows. Learn more about some handy exercises in this informative video. 8) Go easy on the booze! The rock star lifestyle comes with a lot of thoughts of drinking on stage. However, this should be avoided and alcohol should not be the answer to overcoming your nerves. I can say from experience that you won’t be at the top of your game if you’re drunk on stage. Also, getting dependant on alcohol for concerts can become a problem if your gigging diary starts to pack out! I’m not saying that you must cut out drinking altogether when gigging, but make sure not to get too fond of drinking on stage. When we’re feeling nervous, we sometimes start to overestimate other people too much. In these times, you should try to realize that even the top world class professionals can get nervous before playing and still put on an amazing show. It is very natural to be afraid of putting yourself out there and performing. The more you talk to other musicians, the more you realize that you’re not alone. Just acknowledge that what you’re feeling is normal can help conquer stage fright. When changing your mindset to deal with stage fright, you should aim for lots of small improvements. If you’re taking 2 steps forward then 1 step back: You’re still going in the right direction. When you courageously take the steps forward to overcome your fears, it can be a great feeling of accomplishment. However, even a small setback can make you feel like you’re not making any progress. If that happens, look back and think about all of the progress you have made. Conquering this type of fear is a process that can take some time. When you have stage fright, your brain is trying to warn you about something that’s not actually a real threat. Then afterward, you can be afraid of that fear itself happening again, which comes back and makes it worse. This is our instinctive fear cycle. As hard as it sounds, try to accept what you’re feeling instead of fighting it. Keep confident that you will overcome this because with enough perseverance you WILL overcome it. Most other musicians who are comfortable on stage were once in your position. Stage fright can happen to anyone, which is why you should apply some techniques that will reduce the risk of developing this uncomfortable feeling. 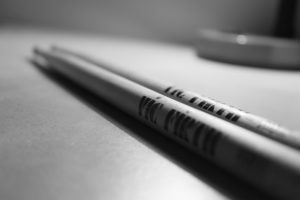 If you practice regularly and have smooth communication with your band, you’re already going to feel more comfortable at your drum throne. Working on how to deal with anxiety personally in different areas of your life can make a big difference. Fear comes in very recognizable and curable patterns. Whereas when we feel stuck in the middle of it, we can feel like we’re the only ones in the world with those symptoms. 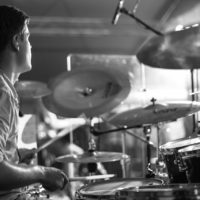 Together with some breathing and workout exercises, you have a great combo of strategies for confident drumming performances wherever you go and whatever you play on your drums. Finally, talk to your friends and family. It’s strong to speak out, and it can be a very fast route to helping you overcome your fears. Keep persevering and keep trying to get better, one step at a time. Actually I have a question. I am an intermidiate drummer. Hi Rose, I feel your pain! Stage fright can really kill your groove. When anxiety kicks in it can tend to override everything else! Also, it forces you to second guess and really mentally process every hit, which can really kill your groove. If you’re really stuck in a rut on stage, I think it’s best to get back to basics: breathe, count, and keep your playing as simple as possible (if your style of music allows!). It’s possible to practice to become a bit more resilient to interruptions (either actual or imagined ones) by training for it. 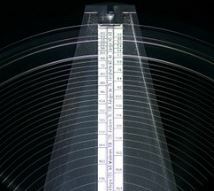 If you don’t practice to a metronome, then try it and count out loud while you are playing. This can really focus on your timing. Try to get a good rhythm with your breathing also while you are doing this. Try to really relax while doing this, you can try to use this as an ‘anchor’ that you can try to return to while on stage. If you get into issues on stage, try to mentally go back to the exercise above. Simply focusing on these might help get you back on track. I often play to a metronome live, although it was a lot more difficult to play when I got started… this can actually end up saving you if you go way off track. Try to focus solely on your click and gravitate around the 1st beat of the bar. It can also start to get you back on track. Also, if you’re getting very overwhelmed, try to imagine yourself floating. It sounds a bit silly but it can really work for people. If you like to swim, imagine yourself floating underwater. Focus on your breathing while doing this. It can actually significantly reduce your anxiety. Lastly, just keeping working on it. You will probably have some setbacks along the way, but as long as your stage fright is getting slightly less-intrusive every time then you are going in the right direction. As mentioned in this article, two steps forward, one step back is still in the right direction!